The Royal Irish Academy champions Irish academic research. One of its principal roles is to identify and recognise Ireland’s world class researchers. It supports excellent scholarship and promotes awareness of how science and the humanities enrich our lives. The Royal Irish Academy is an all-island independent forum that brings together the worlds of academia, government and industry, to address issues of mutual interest through major outreach events and legacy projects. Drawing on the expertise of its Members, the Academy makes a significant contribution to public debate and public policy formation on issues in science, technology and culture. The Academy leads important national research projects, particularly in areas relating to Ireland and its heritage. 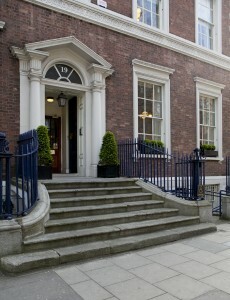 In addition, the Academy represents the world of Irish learning internationally, maintains and enhances a unique globally-recognised library and is a leading academic publisher.